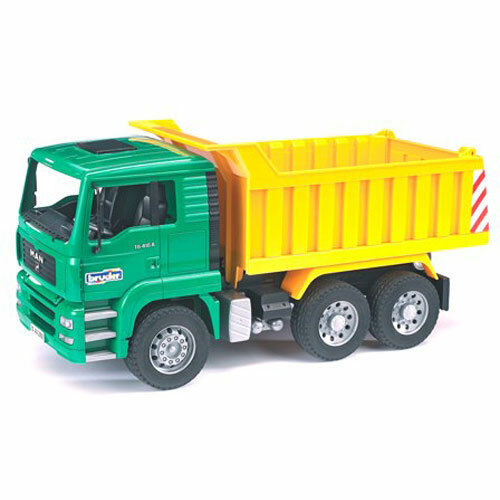 A working dump truck for pretend play indoors or out! Tilt the cab forward to reveal a detailed replica of the engine, or incline the bed and snap it into place in an upright position. Features real tread tires, folding mirrors and a back gate that opens. Measures approximately: 17.70 x 6.90 x 8.70 inches..